In lieu of the Virginia Tech shootings where a gunman rampaged the campus for several minutes without a majority of the students knowing of his presence, college campuses are taking action. Many are turning to a multi-model, emergency notification system for campus safety and crisis communications, which would increase the chances that college students will receive the message. 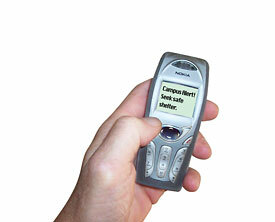 The e2Campus notification system takes into account that some college students prefer to receive an alert via text message on their cell phones, to the PA system, via email, a phone call at home, or staff and students may see an alert via a digital sign walking about on the campus. Even students who are not directly signed up to receive e2Campus alerts, the system has a feature that can automatically include every email address within the school’s system. Federal and state governments have responded favorably to this notification system. The Louisiana State Purchasing Office issued a contract that enabled any state college or university to purchase the system. “To illustrate the increase in campus adoption, over one million emergency alerts were sent in February alone,” said Ara Bagdasarian, CEO of Omnilert, LLC, the parent company of e2Campus. The e2Campus system has already proven its worth. In one incident on a college campus, it helped nab a suspect at a university in Pennsylvania when the university issued mass-text messages to college students to be on the look out for a suspect. Shortly after, the students spotted the suspect and called police with his location. In another incident, a college in Maryland sent multi-mode alerts to notify college students of an intruder on campus. More than 500 campuses nationwide use the e2Campus emergency notification system. The system is self-administered by the school, with no hardware to buy and no additional phone lines needed.